The Director of Risk Management with HAMS Marketing Services says futures markets have shown improvement in spite of substantially higher than expected live hog numbers. This past week most of the summer months' futures have recovered to roughly halfway back to their highs this past week. Tyler Fulton, the Director of Risk management with HAMS Marketing Services, acknowledges it's still very volatile but futures values are significantly better than just two or three weeks ago. The reality is there's a huge hog supply that has to some degree caught the market off guard. What we've seen is several weeks that have exceeded five percent growth over year ago levels and that is pretty close to double what we anticipated seeing. We usually don't get caught off guard on the supply side with that kind of an increase and really it's been quite consistent since the new year and there's really no indication of it stopping. Not only are the hog numbers up significantly but hog carcass weights are also heavier. In terms of weekly pork production the United States in particular we're up a solid five percent over year ago levels. For what ever reason the futures have been willing to put this heavy supply on the back burner and focus a little bit more on some of the longer term positive fundamentals. I believe that the market still thinks that the market still thinks that the North American market place is going to benefit from higher export sales into Asia, in particular into China as a result of the short domestic supply there relating to African Swine Fever but there's great reason for caution. Fulton says, when we get close to where we think there's going to be a tangible benefit to North American prices, it gets pushed further down the road. He says, when you look at the current futures values and the current hog supply, it's had to reconcile the two. 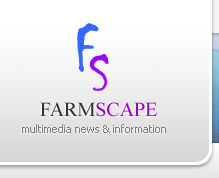 For Farmscape.Ca, I'm, Bruce Cochrane.